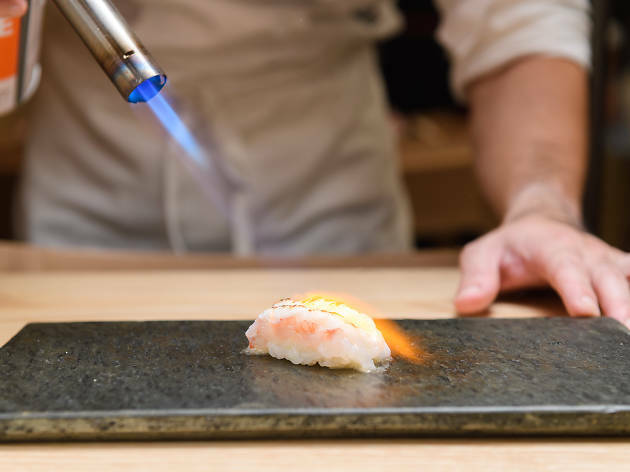 Let's be honest: sushi in NYC can be really freakin' expensive, with omakases and tasting menus reaching as high $450 per head. So on an expansive hunt to find quality seafood at New York's Japanese restaurants, we've found the best cheap sushi restaurants that won't break the bank, but still deliver fresh, silky, melt-in-your-mouth fish. 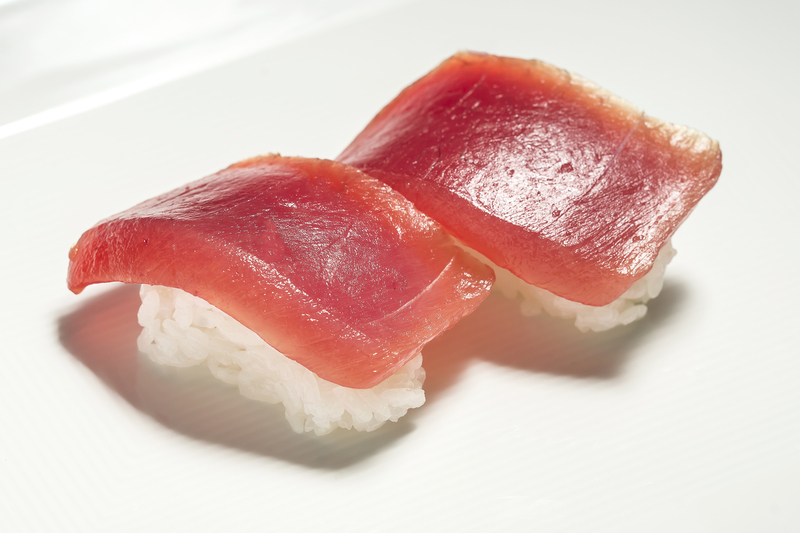 Sushi by Boū is about as budget-friendly as top-flight omakase can get. The latest from David Bouhadana (an affordable sushi pioneer at Sushi Dojo and Sushi on Jones) is tucked below midtown’s Sanctuary Hotel. 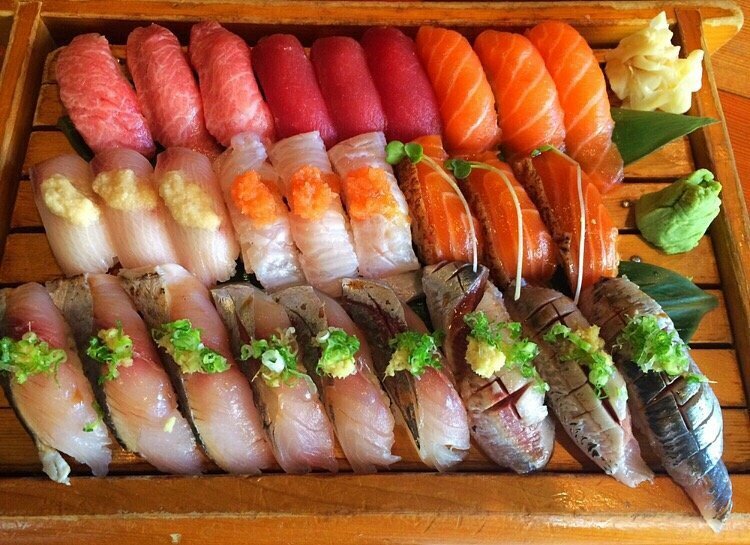 This is stripped-down sushi at its finest: 12 no-frills pieces eaten in a nonnegotiable 30 minutes. 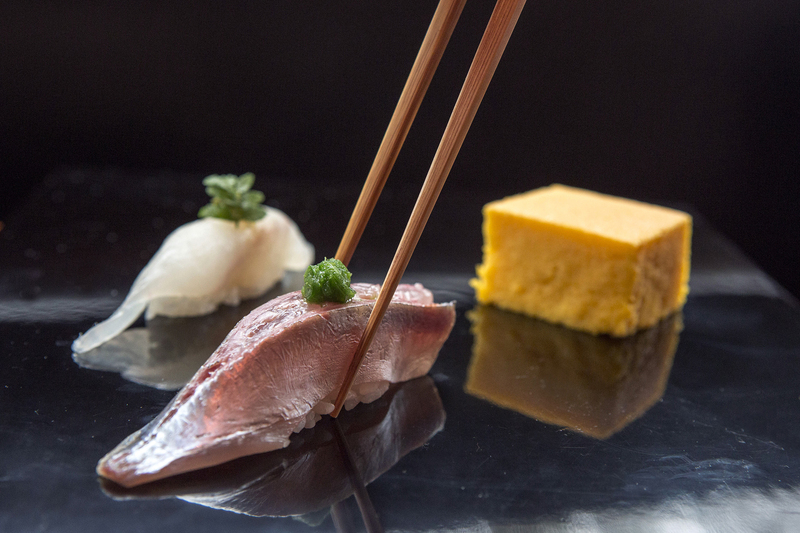 Every two-and-a-half minutes brings a new treat from the unswerving stream of pristine fish (much of it flown in daily from Tokyo’s famed Tsukiji market). 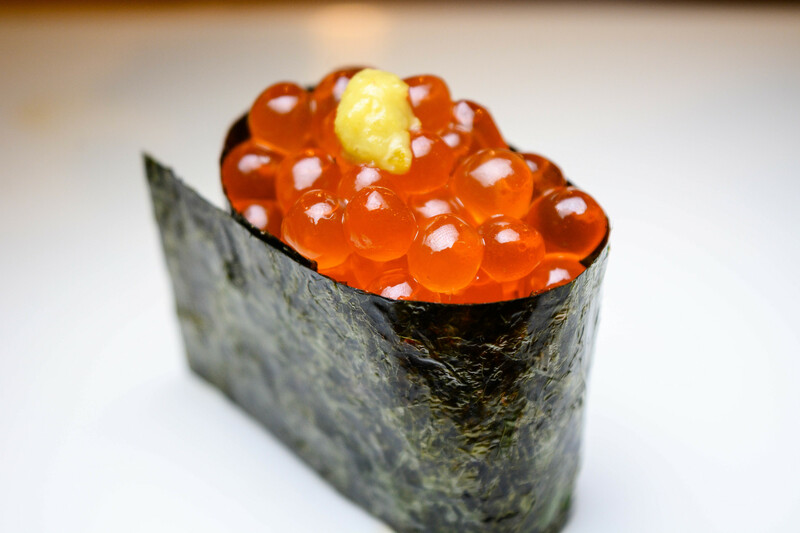 The East Village’s first real destination sushi bar remains one of the top spots in the neighborhood for pristine raw fish—and, with tables lined up under a blonde wood cocoon, among the coziest. The budget-minded will gravitate toward the oversized maki filled with intriguing combinations like seared red snapper, cucumber and shiso. 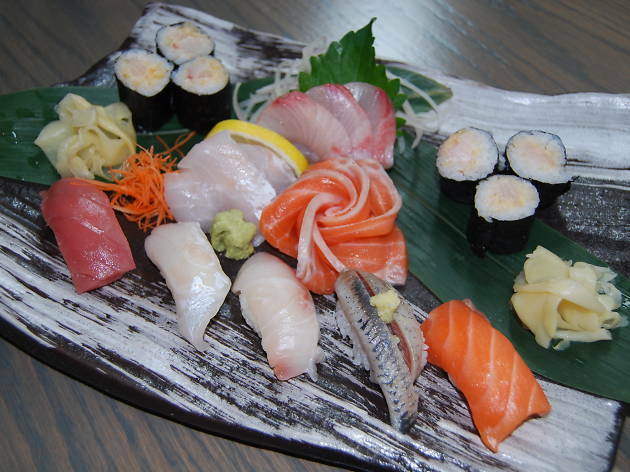 The best deal on a sushi splurge is still the chef’s choice omakase, an ultra-generous platter of whatever’s freshest that day. 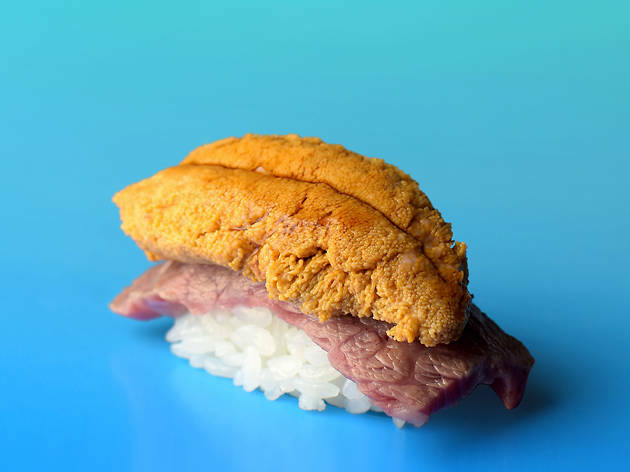 Since the debut of L.A.'s Sugarfish in 2016, a second Nozawa fish concept made it to the East Coast: KazuNori specializes in temaki, sushi hand rolls that are offered a la carte or in fixed-course options (three, four, five or six hand rolls), in varieties like blue crab, bay scallop and toro. The sparsely dressed room, which features a 24-seat counter, is first-come, first-served, so gear up for Sugarfish-level lines. Kazunori Nozawa helped shape Los Angeles sushi culture with his 25-year-old omakase den Sushi Nozawa in Studio City (it shuttered in 2012) and high-quality sushi chain Sugarfish, which the raw-fish legend brought to New York with this Flatiron location. 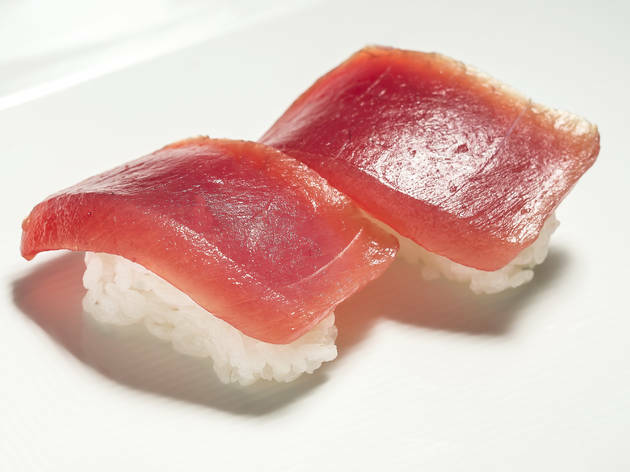 In the bi-level restaurant, you’ll find Sugarfish signatures like a set menu comprised of sashimi, nigiri (snapper, yellowtail) and hand rolls (toro, blue crab) but with the addition of local catch to the usual West Coast lineup. 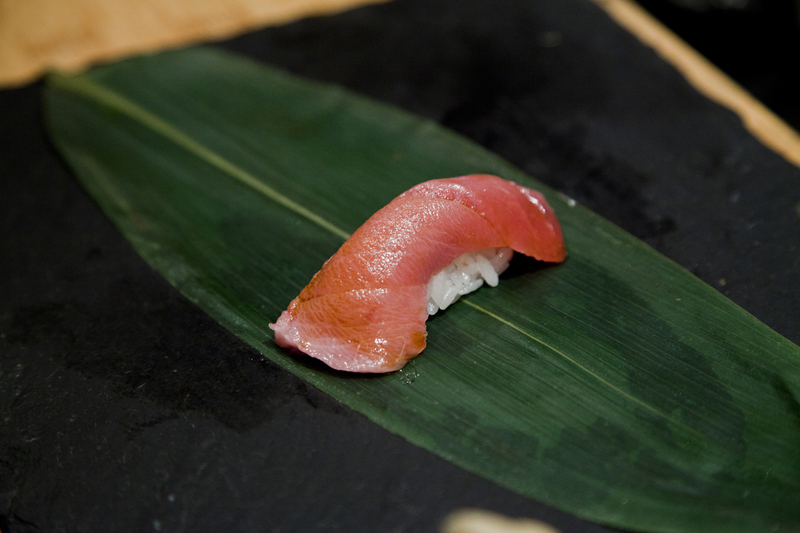 You might not be able to afford the rent, but at least the omakase is reasonable in the West Village. 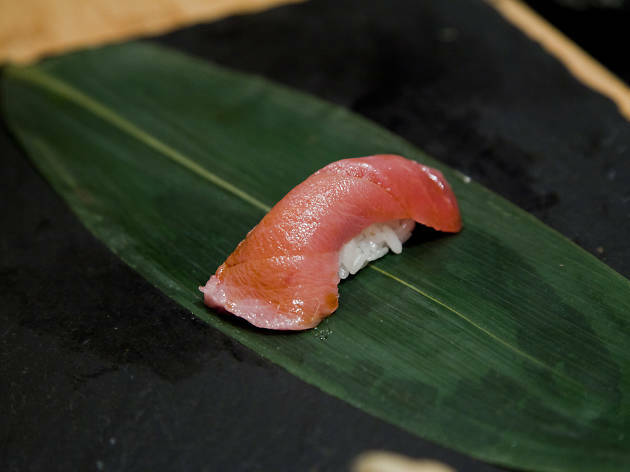 The team behind the popular Park Slope spot opened a new location for chef's choice sushi that won't empty your wallet. 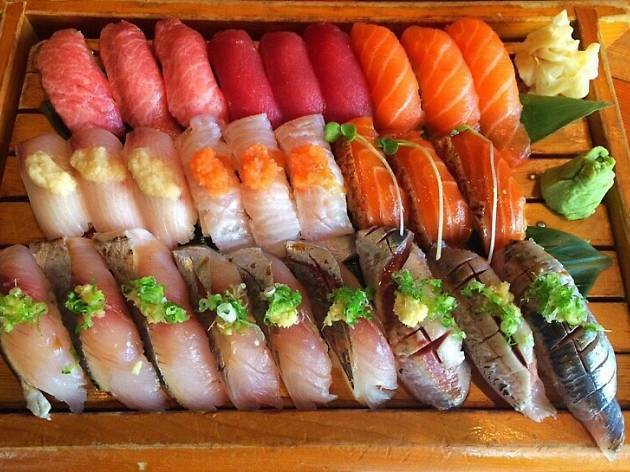 The city’s explosion of Japanese restaurants has left neighborhood sushi bars in a tough spot. 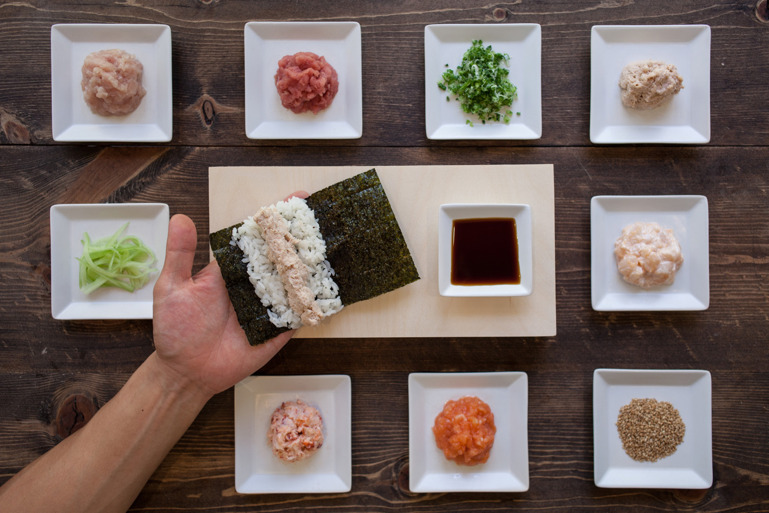 Occasionally, one rises above the pack—like Taro Sushi, at the northern fringe of Park Slope. 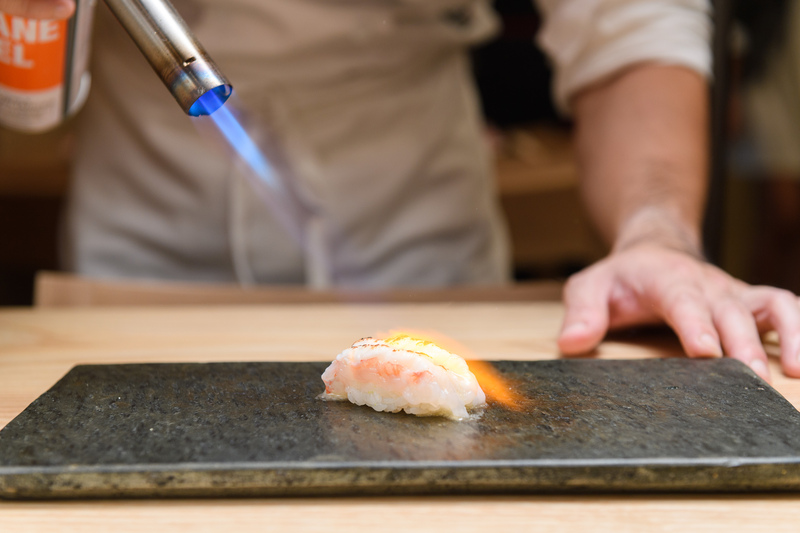 The chef-owner trained at his parents’ restaurant in Tokyo and knows little things matter, like using freshly grated wasabi, and vigorously massaging octopus in brine until it bears no relation to the rubbery tako at most sushi joints. 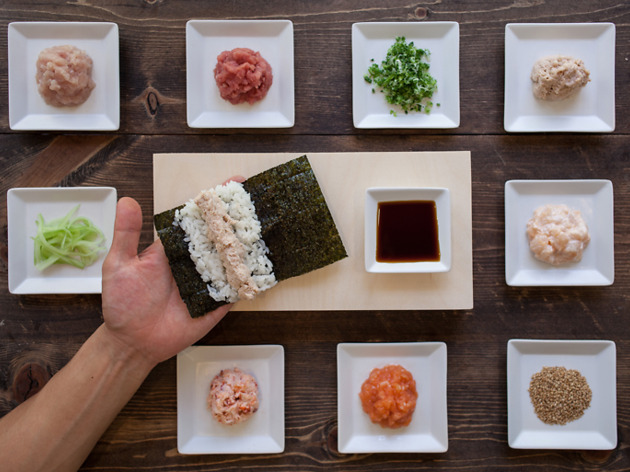 You won’t find anything radically different at Taro, just decisively better—and affordable. The Upper East Side restaurant is a tidy brick-walled room with low-lit tables on one side and a bright 11-seat wood counter on the other. There, Vietnamese-born chef Don Pham (O Ya, Morimoto) basks in the newfound freedom of his very first restaurant by doing whatever the hell he wants. 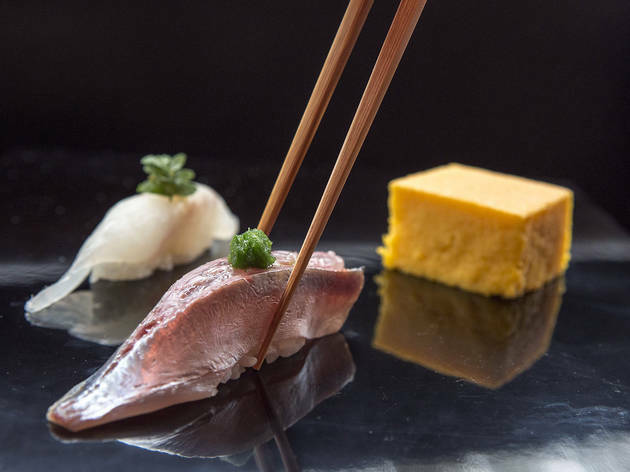 Pham’s ever-changing omakase is a leisurely string of immaculate nigiri punctuated by border-crossing plated preparations. 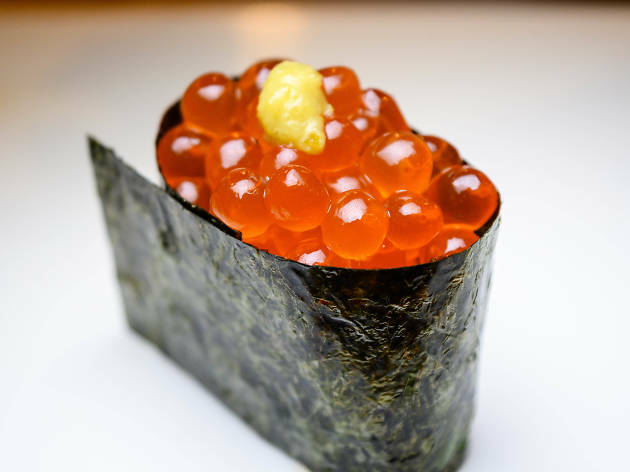 This sushi sanctuary changed its name from Koi to avoid confusion with the restaurant by the same name inside the Bryant Park Hotel. 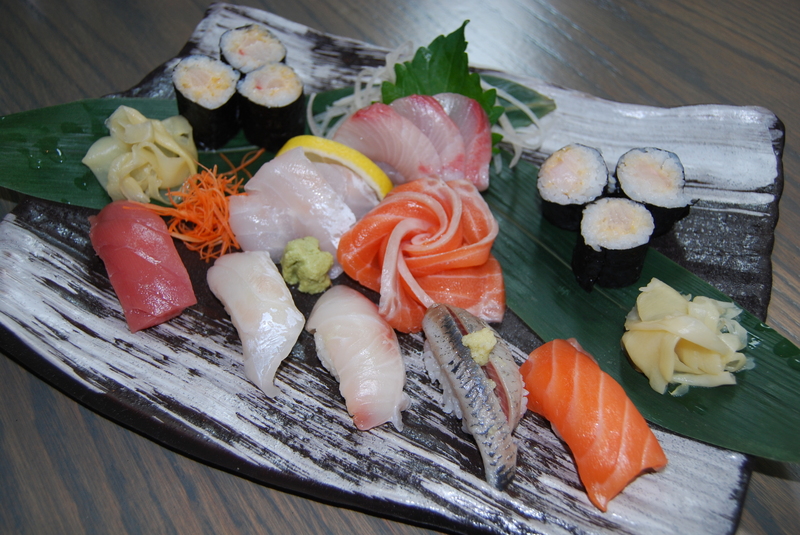 Kanoyama continues the tradition of meltingly fresh sushi and sashimi served at decent prices.